New Tour This itinerary valid from 1st April 2018. Today you’re visiting beautiful South Coast of New South Wales. Head out of Sydney, your Driver Guide will provide expert commentary as you travel through the Sutherland Shire and the beautiful Royal National Park. 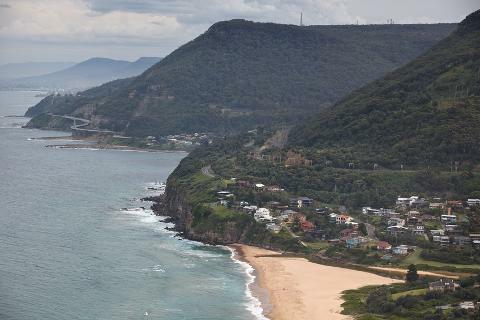 Your first stop is Bald Hill, one of Australia’s most well-known lookouts. Not only are the views spectacular, the area is internationally known as a major hang-gliding destination. Morning tea is available (own expense). Continue along Grand Pacific Drive for a spectacular view of the award-winning Sea Cliff Bridge. The bridge hugs the coast between the high battlements of the Illawarra Escarpment, looming like the great wall of a lost world, and the vastness of the Tasman Sea - an ocean view so wide you can see the curve of the Earth. Next stop is Nan Tien Temple. 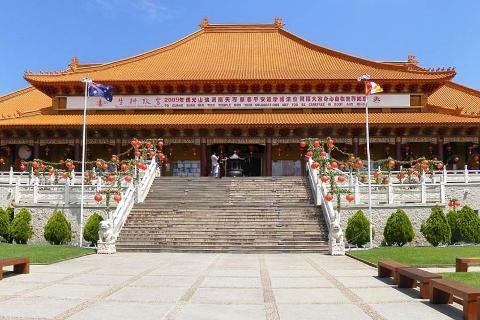 Known as ‘Southern Paradise’, it’s the largest Buddhist temple in the Southern Hemisphere and focuses on the exchange of Eastern and Western culture and the education of devotees. Experience the temple’s visual delights of shrines, statues, gardens, art and culture, including unique exhibitions and Buddhist festivals. Enjoy a lunch of the temple’s famed vegetarian cuisine. 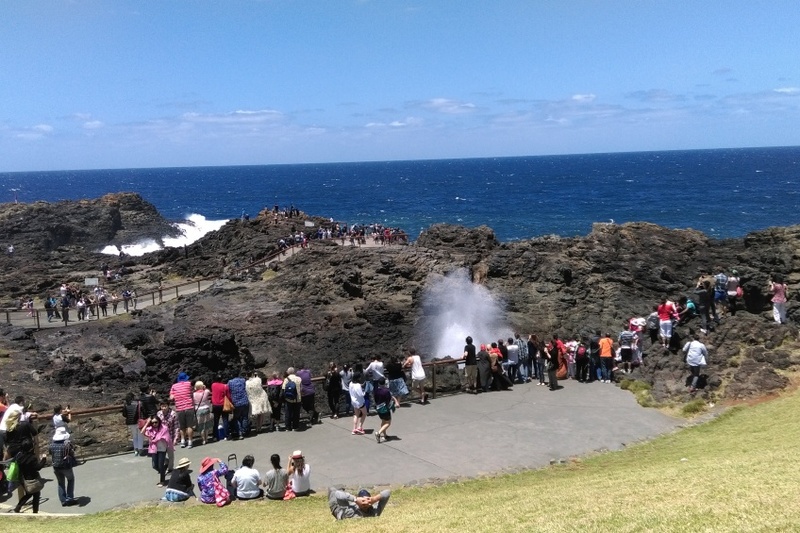 An awesome natural spectacle, Kiama Blowhole, is one of the largest blowholes in the world where a sea-cliff cavern spouts seawater 20 metres or more into the air. Situated next to the 1887 Kiama Lighthouse, the tremendous display is fuelled by southeast ocean swells. There’s also time for sightseeing and shopping in this beautiful south coast town. The Southern Highlands rival the Blue Mountains, with some of the most amazing scenery Australia has to offer. 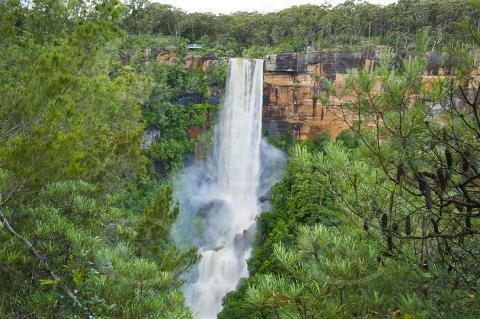 Spectacular Fitzroy Falls lie in the path of the Yarrunga Creek, which drops over 80 metres down the escarpment, and flows on into the Kangaroo River. After viewing the amazing falls there’s time to take a leisurely walk on the many walking tracks (all wheelchair accessible). There’s also time to have a drink, a snack and even buy a souvenir of your day from the National Parks & Wildlife Visitor Centre Shop (all own expense), before heading back to Sydney via the historic town of Bowral.